Reduction in pain is achieved via education, gentle joint mobilisations, soft tissue techniques to relax the muscles and joints, hydrotherapy-adelaide exercise programs and using therapy aids such as ice, heat packs or electrotherapy such as TENS units. Physiotherapists provide specific exercises aimed to ensure that muscle wastage is kept to a minimum. These exercises are started early and progressed regularly so that they keep pace with improvement in strength. Avoiding muscle wastage helps to reduce recovery times. Progressing these exercises at the right times is the key to making sure they do not aggravate the repaired tissues. Formation of scar tissue around the wound can reduce the range of movement and be a cause of pain. Manual Physiotherapy techniques can reduce the formation of scar tissue in and around the wound and assist the desensitisation of affected nerves. Through careful assessment and exercise selections a rehabilitation program will help to restore and improve a person’s functional ability. This can be achieved through hydrotherapy-adelaide, resisted exercise in a Physio Group Exercise studio or a home exercise program. Most often it is a combination of more than on modalities which helps to improve their function in a graduated way without re aggravation of their condition. The aim is always to return to the pre-operative function of the client. After surgery, patients may lose proprioception (the sense joint sensation of position). Physiotherapy can help in regaining proprioception through neuromuscular training and proproiceptive facilitation exercises with the help of wobble boards, bosu ball, foam mats or gym balls etc. 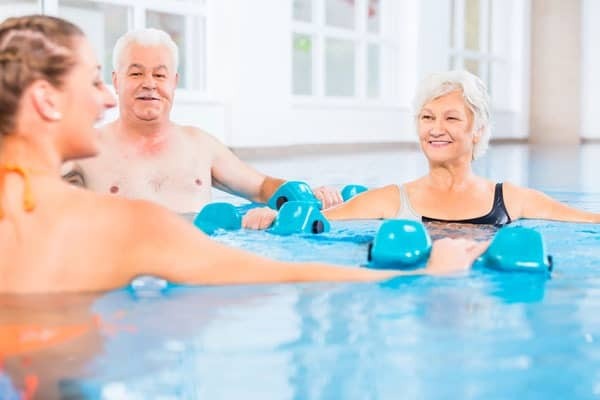 Exercises aimed at improving balance are often incorporated into a hydro and a Physio Group Exercise program which is undertaken under the supervision of a physiotherapist.